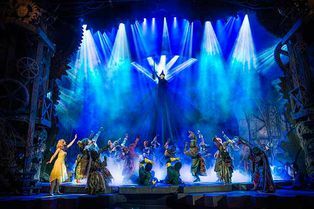 The current home of Wicked can hold a massive 2,313 people – that makes it the biggest venue for musicals in the West End (that's technically not in the West End). It’s outdone as a theatrical venue only by the London Coliseum (home of the English National Opera) holding 2,358 people. The theatre was used as a cinema until 1975; it was called the New Victoria Cinema. The Apollo Victoria once held a massive roller skating arena – for Andrew Lloyd Webber’s elaborate production Starlight Express. Originally conceived as an art deco ‘super-cinema’ in 1930 with a dreamlike underwater theme, the oddly located venue which is criss-crossed by two main roads actually has two front entrances. It was built with stage facilities that were used from time to time for Big Band nights and one-off stage acts, but utilised more when it was threatened with closure in the 1950s, branching out into ballet and live shows alongside film screenings. When the cinema did eventually shut in 1975, the Apollo Victoria lay dormant for six years before a grand reopening as a concert and theatre venue with Shirley Bassey headlining. 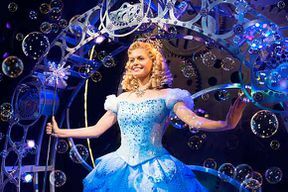 After a handful of musical productions had taken its stage (among them The Sound of Music and Fiddler on the Roof) it became the long-time home to Andrew Lloyd Webber’s roller-skating extravaganza Starlight Express. 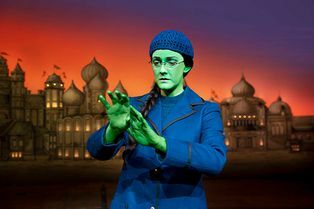 For the lavish production, the theatre underwent serious refurbishments: the walls were painted entirely black and more than 1,000 seats were taken out to make way for a multi-storey giant roller-skating rink. When Starlight Express eventually rolled out in 2002 to make way for Bollywood musical Bombay Dreams, a huge overhaul replaced energy wasting lamps with a more environmentally friendly alternative, making the Apollo Victoria the only theatre lit this way. 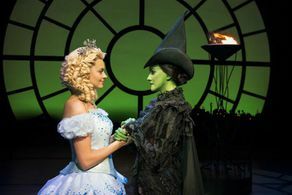 After a couple of short runs from Saturday Night Fever and Movin’ Out, the Apollo Victoria became the London home of Wicked, an imaginative biography of the witches from The Wizard of Oz, which continues to break theatre records.